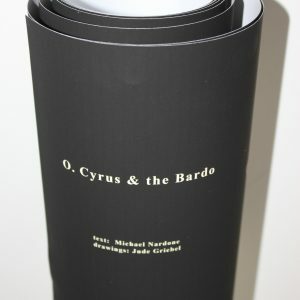 Michael Nardone is Poetry Editor for Hobo Magazine, Editor of The performance/MACHINE, and Assistant Editor for Jacket2. Recent writings appear in The Coming Envelope, Poetry is Dead, The Enpipe Line, Lemon Hound, The Incongruous Quarterly, and Oxford Poetry. Nardone is a PhD candidate in the Interdisciplinary Humanities program in Society and Culture at Concordia University, where he writes on poetics, aurality, rhetoric and media theory. He lives in Montréal.